The Dare County Board of Commissioners will conduct a Public Hearing to receive comments about a proposed water main extension along Leslie Lane in Avon. The Public Hearing will be held at 5:30 p.m., Tuesday, February 19, as part of the regularly scheduled Dare County Board of Commissioners meeting. Comments can be made at the Dare County Administration Building at 954 Marshall C. Collins Drive in Manteo, or through a video link at the Fessenden Center Annex at 47017 Buxton Back Road in Buxton. The proposed project will affect 22 properties on Leslie Lane, and will include establishing a main water line that runs down the length of the street. 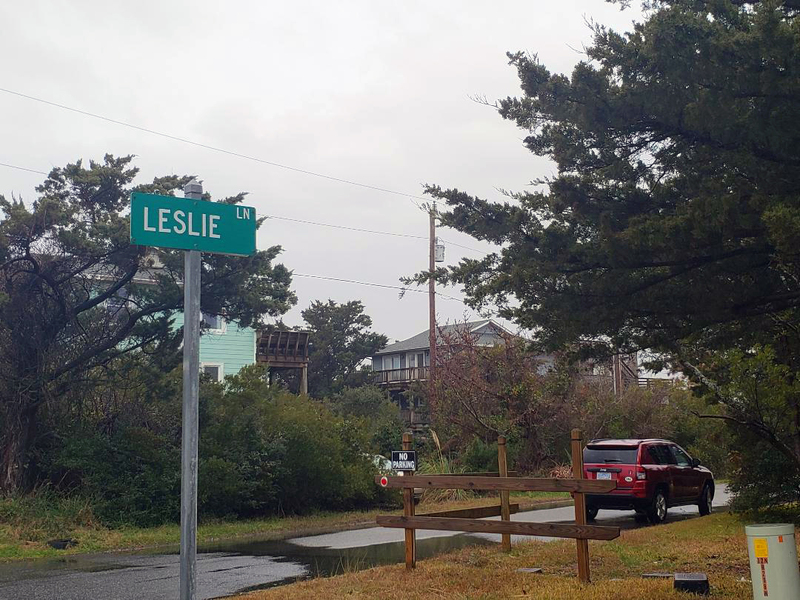 Currently, Leslie Lane is connected to the county water supply by “spaghetti lines,” or smaller lines that connect each home to the main water line on N.C. Highway 12. Flatt reports that the request to extend service down the street was made by local property owners, and that installing a main line would eliminate potential costs due to a leak. Currently, if there is a leak in an individual line that runs from a Leslie Lane home to N.C. Highway 12, the property owner is responsible for the repair. However, if a main line is installed, property owners would only be responsible for leaks that occur in between the individual water meter and the home. “It would also probably improve water pressure [in that area],” said Flatt. A fire hydrant would also be installed on Leslie Lane during the project to increase fire safety for the area. The estimated cost for the project would be $25,000, which would be paid for by the affected property owners through an assessment process, and which would be approximately $1,126 for each of the 22 properties affected. The project would take roughly 30 days to complete.